Lisa has worked in estate agency since 1997, starting her career in Pocklington before gaining valuable experience at other locations in East and North Yorkshire. Lisa has gained a wide and in depth knowledge of the sales and lettings market, which she brought to Chris Clubley & Co in 2011, taking over the running of our Pocklington office. 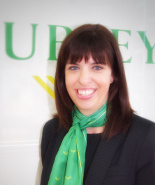 Lisa is a qualified Member of the National Association of Estate Agents.